This section is dedicated to all UK independent cinemas. By independent cinemas we mean the many screening rooms throughout the UK that are independently run. This includes cinema spaces in galleries, museums, arts centres and, of course, cinemas themselves. The UK cinema landscape has been changing for some time - independent cinemas and repertory cinemas' are becoming increasingly rare. But at the same time new screening opportunities are emerging as galleries and museums continue to embrace the moving image and form dedicated screening spaces. This page lists the electric variety of independent cinemas (encompassing film clubs, screening organisations, galleries and museums) which screen artists' moving image work. For information and guidance on independent cinemas throughout the UK contact the Independent Cinema Office (ICO) who can advice you on possible cinemas to approach if you are planning a tour. Further details on venues and organising screenings can be found in the LUX Distribution Guide. This page lists venues / cinemas open to artists' film and video in and around London. This page lists the many venues / cinemas open to artists' film and video throughout the UK, excluding London. The best way to approach a venue to screen your film is to prepare a program of work that can fit into their screening schedule. This can be done alone or together with other artists whose work you will screen as well, or with a programmer/curator who can help select the work. A program would consist of your work plus a selection of other films and/or videos by yourself, colleges, contemporaries or previous generations. The program would depend on the venue you wanted to approach. For most cinemas you would need to make a program between 60-90mins. For more flexible environments your program could include performances, music, talks and be designed to last an evening. In designing a program you would make a package that could fit into a venues screening schedule. The organisations listed in this section have a varied policy about being approached with proposals for screenings. Programmers will want to know what it is you plan to show, how it will fit in with their program/audience, how you will fund the screening (any rental costs of works etc) and what sort of publicity you will provide. Bearing these things in mind it is essential to research the programs and previous events held at a venue in order to find the most appropriate place for your screening. 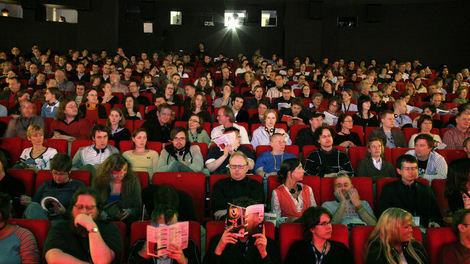 Some venues that may be open to the project will require you to hire the space for your screening. This usually means you will also keep any profits from ticket sales.